The Internet and modern day self-publishing opportunities have made this the perfect time to become an author. Publishing your own writing doesn't require the approval of a publishing house, nor do you need a book company to market your product for you. In this day and age, as long as you have a computer and can write in popular word processing programs, you have the option to publish and market your own books online. The Kindle platform is one such venue that makes it very easy for anyone to publish their own books and start to gather an audience for their work. That's because the Kindle, an ebook reader developed by Amazon.com, has the backing of this large online book retailer to help promote your offerings on their website. 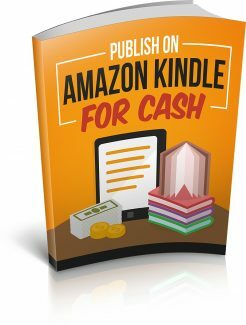 They offer the tools to make it possible for anyone to publish ebooks that many of their Kindle fans can find online and buy. But, before we get into the mechanics of how to use this unique platform to publish your manuscripts, you do want to do a little planning ahead of time – particularly if you have no topic or ebook ready to publish, yet. The making of a bestseller isn't just about uploading a perfectly formatted ebook. It's also about understanding the market for ebooks and learning what sells best. By paying attention to the market first, this helps you not only become a successful author, but a profitable one too! If you don't have a manuscript yet, you're in luck! It's far easier to write a great book that sells when you've researched the profitable topics first. It doesn't mean your already written manuscript can't sell, but why waste too much effort on a topic that has little market potential? Instead, start by putting the right foot forward and writing what the market demands. Then, you know that you have the potential for greater profits. To the find out what might be selling best in today's market is not as hard as it sounds. The Internet makes this a very easy research exercise that anyone can do. You do want to do the research close to the time you plan on writing the ebook as the trends in sales can change overnight. But, some topics never go out of style too. So, whether you are trying to grab the market for a very HOT, but transient, topic or whether you want a classic, like business marketing, you can make money if you understand that timing the market help build sales too. Don't wait to publish the really hot topics that might not turn into classics, because someone else will have beaten you on it by then. Here are some places you can visit online to research book topics that are selling well or would sell well due to current events. Keep your ears and eyes open to the current events, as these are the topics that are VERY HOT but for a short period of time, mostly. So, these you would have to get out the ebook in record time in order to profit from the current event. that solution and can write about it, you stand to make a mint on that idea. An example of this would be when eBay decided to no longer allow infoproducts to be sold virtually on their site in the regular auction area. This small change was big news for Internet marketers and had you sold an ebook on how to package your infoproducts in other formats to allow the submission with the auction format, you would have had people storming down your doors for that information. You don't have to be a genius to come up with a solution. You can even research solutions that other people have come up with and write about them. The ideas themselves are copyrighted, but the product may be. So, you will have to be careful how you use other people's ideas in your ebooks so as not infringe on any copyrights. If you don't have time to do all that research and writing, don't worry! You can always hire a ghostwriter who can do it for you. Then, you just pay them for all the rights and slap your name on their work and peddle it as your own. Some of the biggest ecommerce sites offer bestseller and hot lists for their visitors. These are to help them find deals or topics that are immensely popular and can tempt them into buying them. For you, those same lists can help you figure out what topics are selling best on the Internet market. the screen entitled “Sort by” and it should say “Bestselling.” If not, then just choose that option from the drop-down list to sort by bestselling books. Amazon.com also has a feature called Listmania, where anyone who visits can create a list of their favorite books. Check out the Kindle favorites by typing that into the search engine and choosing “Listmania” as the source of the search. It will come up with a number of different people's lists and give you an even better idea of the types of genres and stories that people favor in the Kindle platform, specifically. Even though you are selling on the Kindle, it doesn't mean you can't check other resources for the best market topics. If you know of blogs or commercial websites that get lots of traffic in a market niche you are considering, check them out. They will often have “most viewed” or “hot topics” listed. The more discussion on a particular topic, the more the odds are that people are willing to pay to seek more information about this topic.